The Pinoy Pride 29 is scheduled on February 7, 2015 featuring Genesis "Azukal Servania vs the Mexican Fighter Juan Luis Hernandez. The fight will take place in Davao City, Davao del Sur, Philippines. Genesis Servania is one of the top Boxer of ALA promotions. He is ranked no. 2 in the Philippines behind Albert Pagara in Super Bantamweight division and ranked no. 15 in the world. 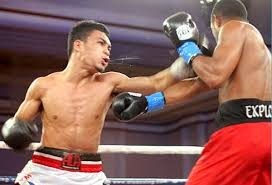 Servania has a KO power, in his last 8 fights he won 6 by way of KO and it is improving. Right now Servania has an impressive record of 25 wins including 11 wins by way of KO and has no defeats. While his opponent Juan Luis Hernandez is also a top fighter from Mexico. He has also an impressive record of 17 wins with 9 wins by way of KO and has 3 losses. Hernandez won his last 2 fights against Pedro Palma and Arthuro Valenzuela by way of Unanimous Decision. Also in the main event of the evening, Jason "El Nino" Pagara will face the Mexican challenger Cesar “El Dolar” Chavez who has a record of 23 wins with 7 wins by way of KO and has 7 losses.